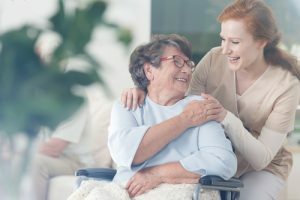 First published on MedCityNews.com. Like enterprise health IT, the consumer health tech world is facing a bit of an interoperability crisis of its own. Mobile health apps and self-tracking devices – thought of by many as key tools for keeping people healthy and engaged in a post-reform healthcare system – have so far become staples in the lives of only a sliver of the population. To push adoption and utility, industry experts say it’s time to start knocking down the walls that house the data collected from these tools. 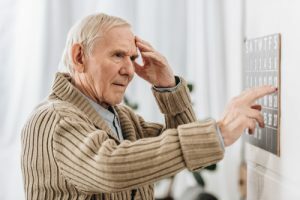 There’s about 5 percent of the U.S. population that’s very sick and are poised to benefit most from mobile tools like blood pressure monitors and diabetes tracking apps, said Dr. Joseph Kvedar of the Center for Connected Health at Partners Healthcare. But market research has shown that people who are using self-tracking devices usually aren’t the sick people. Rather, Kvedar estimates that the first class of popular digital self-tracking devices like Nike Fuelband, Jawbone Up and Fitbit Flex have captured the interest of about 5 percent of the population who are most interested in being healthy, or who are just interest in self-quantification in general. “That 5 percent is the beachhead now for adoption, and that’s a big enough market that it gets people’s attention,” he said. In 2014, he sees companies making moves to gain ground on the other 90 percent of the population that’s so far lacked the motivation or willingness to invest in health trackers. That will mean transforming general health tracking wearables from shiny devices that capture a few biometrics into tools that capture a more complete picture of one’s health behaviors. That means more consolidation to diversify companies’ product offerings, which has already started to happen. 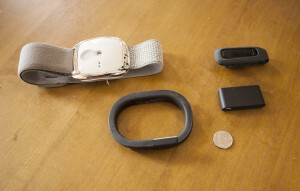 Jawbone acquired BodyMedia this year, and Under Armour recently bought MapMyFitness to break into wearables. ABI Research expects that revenue growth on the consumer-oriented side of the wireless device market will outpace growth on the remote patient monitoring and on-site healthcare technologies side, because those tend to have fewer suppliers and higher costs. There are already signs of that happening. 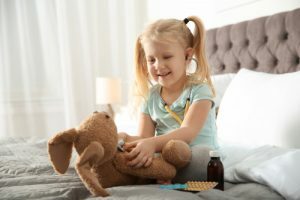 Medtronic, for one, has made investments in the maker of the first FDA-cleared smart pill, Proteus Digital Health, and digital health sensor company MC10. 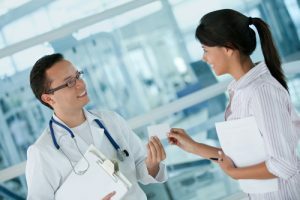 Meanwhile, Boston Scientific has inked deals with two telecommunications companies to connect physicians with data from patients’ cardiac devices. Connor works with a startup called Medibotics that’s trying to develop a wrist-worn device that would use sensors and a camera to monitor a person’s caloric intake. Although it wouldn’t be considered a medical device, such a product could be a way to address obesity, a condition that’s definitely of interest to the device industry. Aside from a few companies that have emerged recently, there hasn’t been much commercial activity here, he said, as most companies have focused on the “energy-out” part of the weight management equation. But he has a hunch that more of the popular wearable technology companies will begin moving in this direction too as they try to expand the capabilities of their devices. 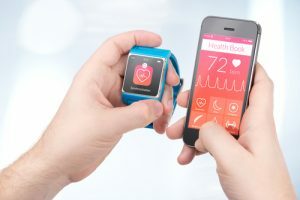 Some people think smartwatches will help unlock the potential of mobile health tools in the near future by combining the hardware and software capabilities into a single device. Kvedar, though, says not so fast. He’s optimistic about smartwatches becoming a vital sign hub in the future, but said they’ll first have to overcome some fundamental obstacles like short battery lives and small screens before they become commonplace. To keep the momentum going for digital health tracking as all of these changes occur, Kvedar and his colleagues at the Center for Connected Health are running a web project called Wellocracy. Its goal is to inform the general public – the other 90 percent of the population who’s not currently engaged – about how these tools can apply to their lives, and to better understand why they’re not using them.